Whether you are someone who likes to meticulously dissect abstract lyrics or just let a soft melodious sound flood your senses, then the twin appeal of Amelia Curran’s new album is a heaven sent release. Very much in the mould of her previous records, THEY PROMISED YOU MERCY is a wordsmith’s delight of lyrically layered compositions hinged by an assortment of sounds fluctuating distinctly without taking the record out of a second gear pulse. Praise from within Canadian folk circles is not uncommon for Amelia as she confirms, in this seventh album release, her prime status in the world of that country’s exporting talent. 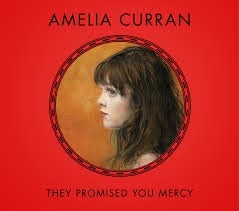 First and foremost, words are the currency of Amelia who not surprisingly is the architect behind all eleven tracks, with the trademark writing style of first person perspective no finer highlighted than in the lyrical structure of ‘I am the Night’, one of the songs selected for album promotion. In fact the choice for promo material is endless and the positioning of ‘Somebody Somewhere’ as the opening track is wise to hook in sceptical ears with its compulsive anthem qualities. Although sonically anchored by the instruments core to contemporary folk, the infusion of brass on the special second track ‘Coming For You’ and even more effectively, Hammond organ on ‘The Matador’ heralds a slight experimental feel to a record pushing for recognition outside its unjust boundaries. Amelia is regular touring artist with her trusty guitar, so it is just as useful that the songs have a stand-alone substance to accompany her on the road which includes a January UK itinerary. Sales of the CD should prove popular on these dates especially when audiences have listened to a strong candidate for stand out track in the delectably ascending ‘Never Say Goodbye’. Gazing down a list of album players reveals a familiar name in Christine Bougie who is a top Canadian session lap steel guitar player featuring on so many high quality folk and roots albums. Christine is known to UK audiences as a member of Gretchen Peters touring band and will be visiting us again in March and April. Her beautiful playing adds atmosphere most prominently to the softly delivered closing number ‘You’ve Changed’. There is a reassuring consistency surrounding Amelia’s vocal style which hits the perfect pitch and remains steadily on course during the 42 minute playing time. You get a satisfying feeling of direct address when listening to the album in solitude, probably the best way to savour the soul of the record and indulge in its literate craft. Whether submerging into such wonderfully titled songs like ‘The Reverie’, with its striking chorus, or attempting to analyse the line ‘no restitution for the wicked, fables and trouble’ from ‘Fables and Trouble’, this is a record which refuses to let go and is more than welcome to have this effect. 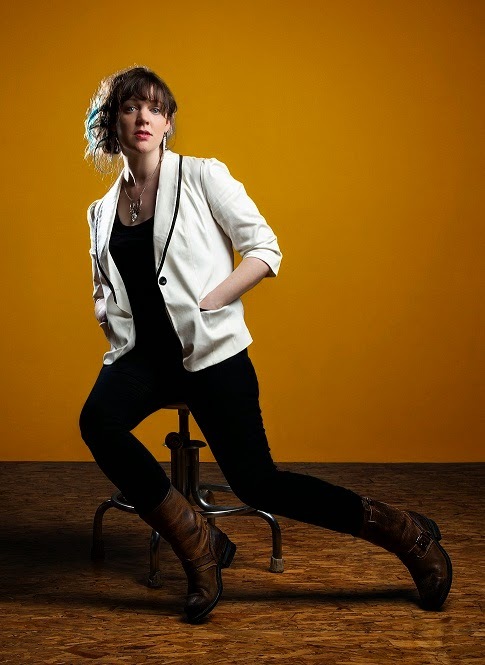 With poetic license, Amelia Curran once again unleashes an album on the world to turn heads and it wouldn’t be a surprise if THEY PROMISED YOU MERCY followed in the acclaimed shoes of HUNTER HUNTER with lofty recognition by the Junos. Regardless whether lavish praise is formalised, this record is on the hunt for a place in the heart of any enthusiast under the spell of Canadian contemporary folk music and there are certainly many here in the UK who support the touring artists with unequivocal commitment.